A bright and colourful A3 poster showing how to conjugate regular French -RE verbs, in the present tense. 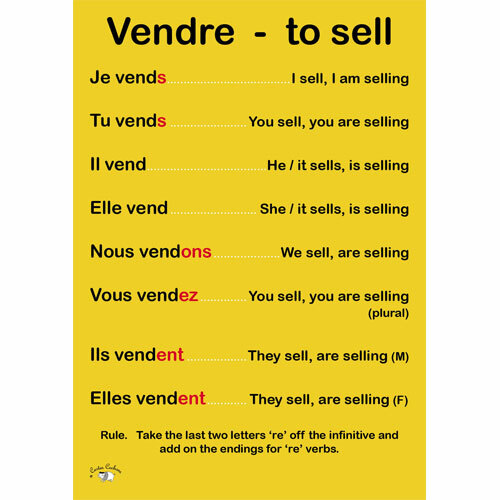 The given example is 'vendre' and there are tips to how to apply the rule to other -RE verbs. 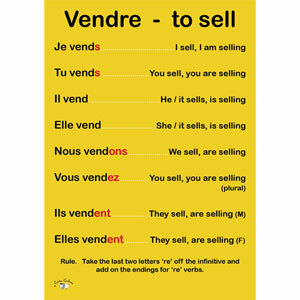 Vendre French Verb poster is great for classroom displays!